Cottage in a medieval village (fortified villages in medieval times and built in a circle), in the vineyards of Malepere. The Aude department offers a wide variety of landscapes: mountains, coast, countryside, and therefore many activities: winter sports, beaches, water sports, hiking ... all easily accessible. 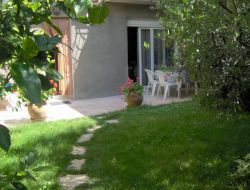 Holiday rental in the center of Narbonne and quiet, perfect to discover the city on foot! Beautiful town house with large terrace and private garage. The beaches are only 15 km away. 2 bicycles available in the garage. Ideal location to discover the region, visit Narbonne and its 9 museums, the Canal du Midi and the sandy beaches. 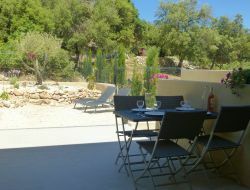 New holiday cottage situated in the charming village of Duilhac under Peyrepertuse. 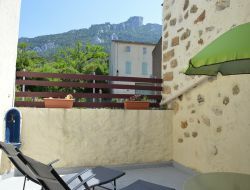 In the sober and well-kept decoration and having all the modern comfort, you will feel good there only by contemplating the views on the magnificent castles of Quéribus in the South and Peyrepertuse in the North since terraces and since your bedroom. At 1h30 from Carcassonne, 1h15 from Narbonne, 45 mn from Perpignan, 1h15 from Collioure the holiday cottage is ideally situated close to the most beautiful interest places. For your holidays near Carcassonne, rent of a holiday cottage with terrace semi-covered, fitted out in 2015 in a former stable. Between vineyard and scrubland, come to take advantage of the nature near the interest places of the Cathar Aude. 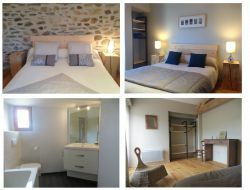 Former stone barn renewed in holiday cottage of charm typifies loft, very comfortable and functional, for two persons, with a fantastic view over the Cathar castle of Peyrepertuse, in a quiet and protected village of the Corbières. Stony, wood and of contemporary style mixture. Terrace. Air conditioning, heating and wood stove. 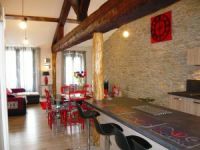 Rental in Carcassonne of a large apartment of 77m², at the foot of the medieval city, overlooking a terrace and a small enclosed garden with trees. 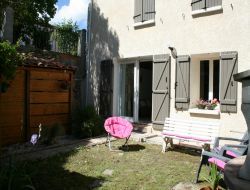 Holiday rental located in a typical district of Carcassonne, with wifi and garage. Holiday home recently renovated (1st season of rent) in the village of Rieux Minervois (2000 inhabitants), with all conveniences and shops, near Carcassonne in Languedoc Roussillon. The house is situated in a not busy dead end. Quiet district. Car park. Give yourself a break in the middle of a vineyard, in a cottage of character along the Canal du Midi, overlooking the Port of Somail. The site is remarkable, with its chapel, Bridge St Marcel, a former major bookstore, restaurants and walking paths that lead you to discover the landscapes and local heritage. 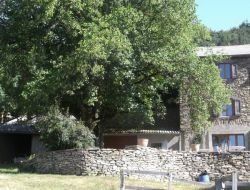 Welcome to the holiday cottage Le Tulipier, a former stone house renovated in natural materials, in Pradelles Cabardès, in the highest village of the Black Mountain, in 820 m of height. 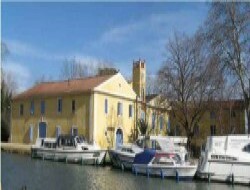 On a property of more than a hectare, in border of the lake, at the foot of the Pic de Nore, this gite will charm you for night or a stay, in family or between friends. You will be in 30mn from Carcassonne, close to numerous places of interest (Abyss of Cabrespine, cave of Limousis, Castles of Lastours).